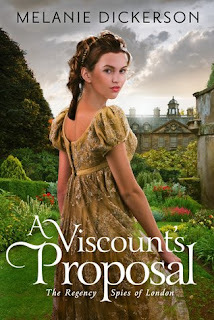 I enjoyed The Viscount’s Proposal more than the last book in this series. It did stand out as something of an oddball in a series entitled Regency Spies of London as there was almost nothing related to espionage. I’m not saying that was a bad thing, but just to warn readers expecting a Spy Story. It was much more of a Romance, with a backdrop relating to politics and social movements in early 19th century Britain. Many parts were reminiscent of Pride and Prejudice. Leorah’s statement about marrying for passion was very similar to what Lizzie Bennet said in the aforementioned work, for instance. I did have some reservations about her character. I don’t mind unconventional strong characters, even rebels to a certain extent. Provided it’s in a just cause, but, whilst it was possible to sympathise with her stance against hypocrisy, I did not feel Leorah’s attitude was not entirely commendable. She railed against ‘arbitrary rules’ like not being allowed to gallop her horse through Hyde Park. That’s not an ‘arbitrary rule’- it’s entirely logical. At another point, Leorah said she should not have to obey any rule that was not in the Bible. On that basis one might as well argue that Christians should not have to adhere to speed limits in residential areas, or pay parking fines. When one starts picking and choosing which rules one want to obey, where does one draw the line? There were a few elements common to her writing which were not so good, like the characterisation of all marriages of convenience as unhappy. I mean we told about 20 times that Leorah did not want to be stuck in a loveless marriage, and other details were repeated far too often as well. I had originally given this novel a higher rating, but I have now reconsidered this in light of how the character’s behaviour relates to the maxim that ‘Love does not insist on its own way'. It seemed to me that Leorah spent much of the book doing just that. Everything had to be her way, her ideal husband had to let her pursue her hobbies and interests. It was all about her wishes and conditions, and in the end the hero Edward had to change to become more like what she wanted. A passage in the end that was illustrative of this was him apologising for calling out her shortcomings at the beginning. All semblance of humility or acknowledgement of her own faults was quashed, so that Leorah was basically told she had not been in the wrong for her sometimes downright rude and arrogant behaviour. There was a similar incident in the author's last book, when the hero apologised for calling out the heroine's blatant selfishness and recklessness, and she did not have to change at all. Why should the woman never be in the wrong, where is the ‘give and take’ in the relationship? Otherwise though, this good story in a lot of ways, with a lot of historical detail and a slower development of the relationship between the characters. Plenty of romantic tension, and a few witty exchanges made for some great scenes. One other strong point was that there were less obvious Americanisms in this novel then a lot others like it. There were still some, but they weren’t as blatant. 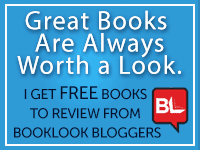 Overall it was a cleverly written and imaginative Romantic story, without too much mush. 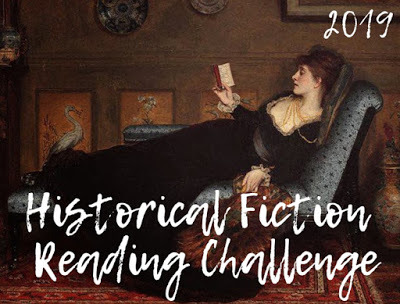 Readers of the Regency genre will be very satisfied. I had borrowed this on Amazon Prime because it was not on Netgalley, but I would certainly consider purchasing it for myself and I look forward to the next in the series.